SUNDAY April 14th @ The Container Bar Charleston! Join us for an Oyster Roast, Live Music, Games, Raffles and Fun. 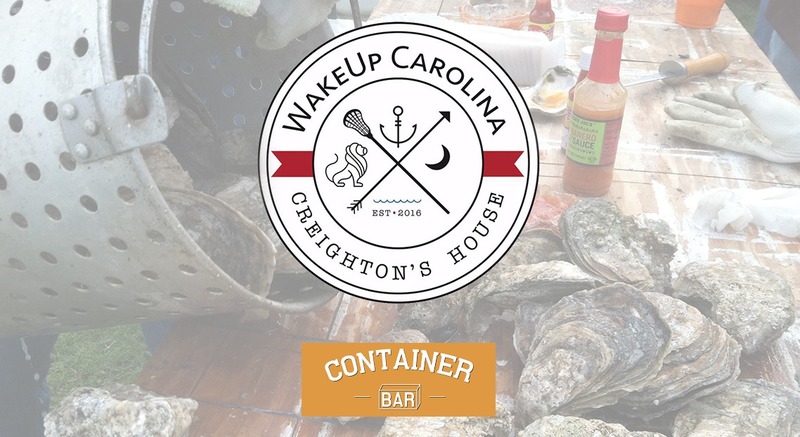 All proceeds benefit WakeUp Carolina's Give Hope Campaign and continuing efforts to bring Awareness, Education, and Recovery to the Lowcountry. WakeUp Carolina needs your help to establish our dedicated recovery center called "Creighton's House" where individuals and their families can find support and guidance while maintaining or seeking recovery from addiction. All Wakeup Carolina services (including Creighton's House) are 100% funded by generous donations and grants from citizens, corporations and government entities. WakeUp Carolina is recognized as a 501c3 non-profit.